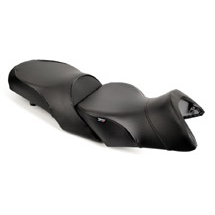 Fit the BMW R1200GS/A LC. Front Regular Height and Rear Seat. Front Seat Only Regular Height. Front Low Height and Rear Seat. 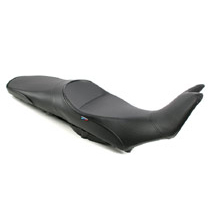 Fit the BMW R1200GS/A 2004-2013 Air-Cooled. 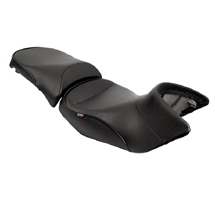 Fit the BMW F650/800GS 2008+ (not the Adventure 2014+). 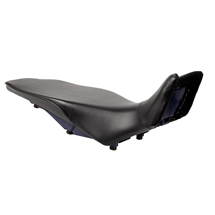 One-Piece WSP Touring Seat Regular Height. 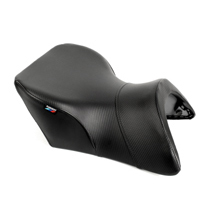 One-Piece Enduro Style Seat Regular Height. 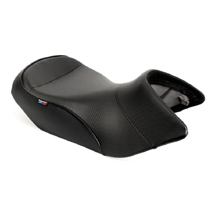 Fit the BMW R1200RT 2005-2013 Air-Cooled. 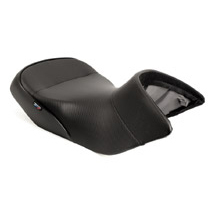 Sargent Cycle seats are not limited to BMW seats only. 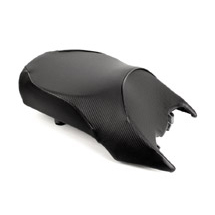 They manufacture seats for Aprillia, Ducati, Harley Davidson, Honda Kawasaki, Suzuki, Triumph and Yamaha as well. 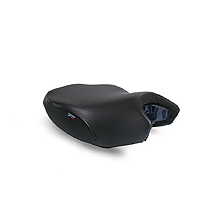 Seats can also be customised with heat options and different colour welt. Unfortunately we are not able to provide the refurbishing or restoration services. 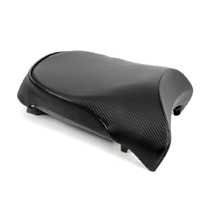 Sargent also have a stunning range of Backrests and Top Case Pads available. 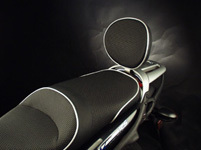 The Bolt-on Passenger Backrests are designed to mount to the BMW luggage rack on the R1100/1150RT, the R850/1100R (up to 2001), the R1100/1150GS and the R1100RS(L). 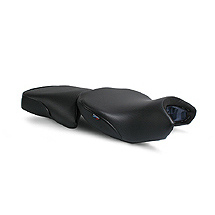 Each backrest is made from a welded aircraft-grade aluminium frame, powdercoated in black with matching, black hardware. 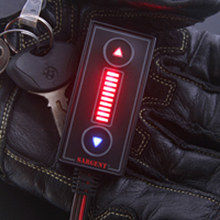 For the BMW "K" models, Sargent offers product from three manufacturers - depending on the model - each product line with unique features and benefits. Please phone or email us for a quote on any Non-Standard option or seats and other Sargent products not listed on our website. 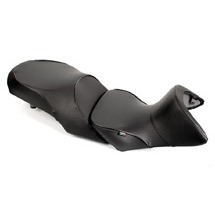 AIRHAWK is a motorcycle seat overlay that provides the rider with unsurpassed comfort during long rides. 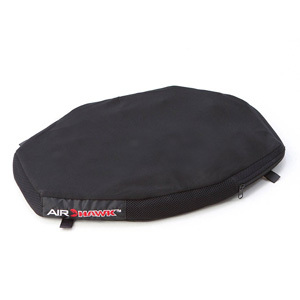 The AIRHAWK uses scientifically proven air technology to distributes your weight and pressure over the entire motorcycle seat cushion, reducing the "hot spots" that cause discomfort or even pain. 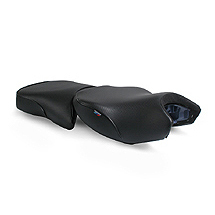 The air cells in the cushions also work as mini shock absorbers, reducing vibration. Once you've tried it, you won't ride without it again! 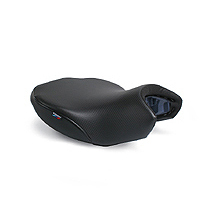 AirHawk air cushions eliminate numbness and painful pressure points, double your ride time and reduce the build up of moisture and body heat. They are hand-crafted with quality and now you can take comfort anywhere. 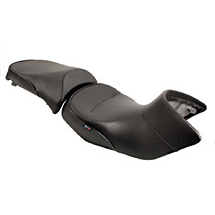 There is an AIRHAWK comfort seating system that will fit your ride today! 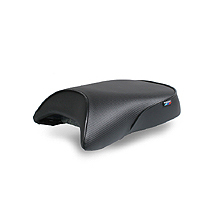 Approximate size: 28cm (l) x 23cm (w). Size: 32cm (l) x 32cm (w) middle x 18cm (w) front. Approximate size: 46cm (l) x 30cm (w).